You don’t have to heat up the oven for this cake. Plus summer is coming and none of us need an extra calories. Treat yourself with this light and airy, extra yummy cake. 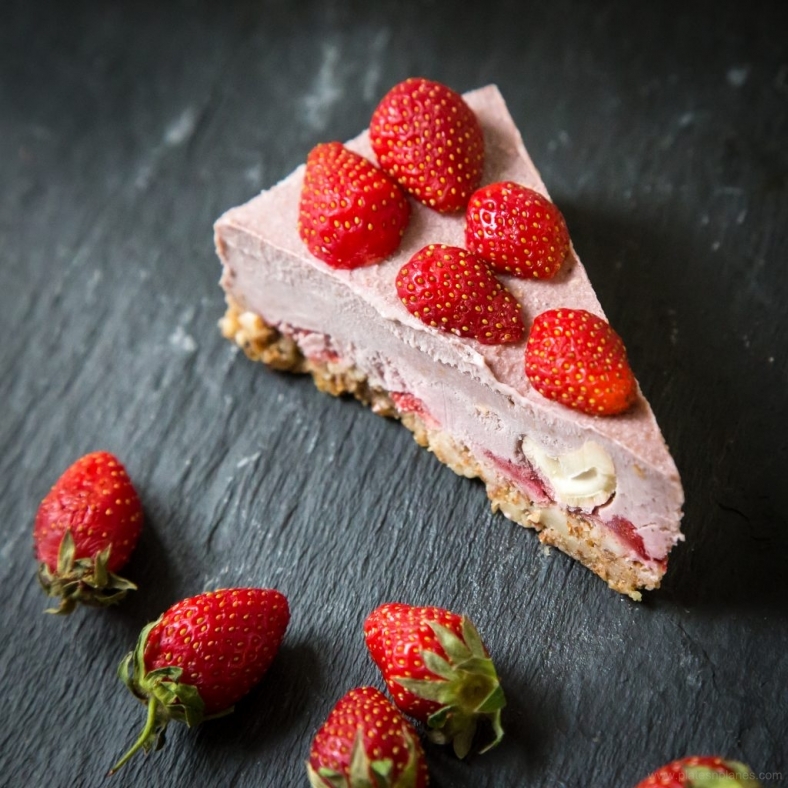 I decided to make this raw strawberry cake to show you that dessert can be healthy, yet delicious in the same time.It is simple to do it and you do not have to spent much money on it. Prepare springform cake pan (20 cm) and spread baking paper on the bottom of the pan. In food processor (with metal blade) process almonds and drained raisins into stick mixture. Than press into springform cake pan and leave aside. 1.Mix together in food processor all cashews and 4 cups of strawberries into smooth cream.If it is to liquid ad few more dry cashews, it is to dry add more strawberries. Texture of cream depends of natural moisture of strawberries. Finally cream should be smooth and thick. 2. Then add orange zest and vanilla sugar and mix a bit. 3. 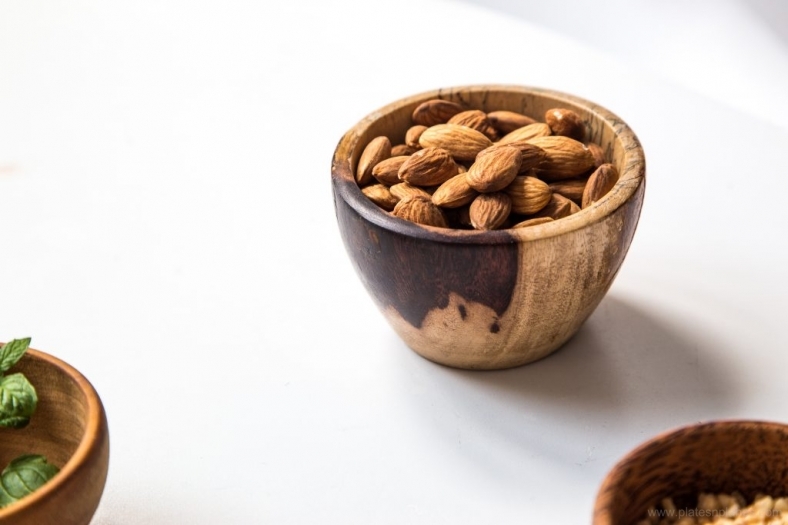 In the only and put inside hazelnut brittle, stir it gently with a wooden spoon. On the top of a crust put sliced strawberries ( spread it in one layer). Than pour over the cream. Keep in refrigerator for few hours. Before serving ( in last minute) you can decorate it with strawberries, but carefully because strawberries are moisture and can dilute cream at the top. Put a leaf of mint on a top of each individual serving and its flavor refreshes each and every bite. Yummy, I love this slight crunchy taste of hazelnut brittle in the cream! This cake is best served the day after it is made as this will emphasize the texture and taste of the cake.